Lipodyn Concentrate Cream is a rich protective barrier against the cold with a particularly high lipid content to nourish, envelop and beautify extremely dry skin. Lipodyn Concentrate Cream is a rich protective barrier against the cold with a particularly high lipid content to nourish extremely dry skin. Especially during the winter months, when the skin’s lipid production is naturally reduced, the skin is quick to become flaky or even develop eczema caused by dryness. This special skin care product is the perfect winter companion, acting like a winter coat for the skin. 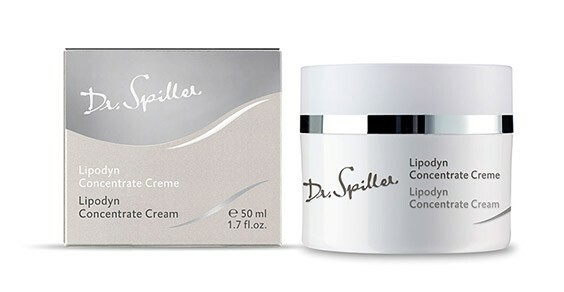 It firms the connective tissue, smoothes and revitalizes the skin. Apply appropriate intensive skin care or active ingredient concentrate to face, neck and décolleté morning and evening after cleansing. Follow with Lipodyn Concentrate Cream.